What a great article. It's nice to hear a grant maker acknowledge those who get rejected. 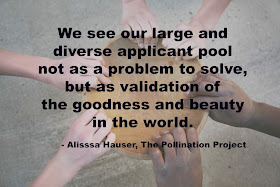 Your words "We see our large and diverse applicant pool not as a problem to solve, but as validation of the goodness and beauty in the world," truly makes a difference. Thank you for sharing your compassion with the many who think they are forgotten about. Great article Alissa. Saying "no" has always been difficult for me. Your article makes the job much easier. Thanks! I never like to say "no." Your article makes it much easier for me to do so, and to do it in a graceful, elegant way. Thank you Alissa! Alissa, so true that the most difficult yet powerful step in the birth of a project is getting it out of your head and onto paper. I had never thought of it quite this way before, whether these ideas are funded or not, actually they are. The application process gets it out into the world! Brilliant. Thanks for giving hope to those in need. As an African grantee, I can easly understand what you talking about. Keep your great work. Thomas Edison would totally be on board with your description of what many others would call failure (it took him 10,000 times to get the light bulb right according to common lore). 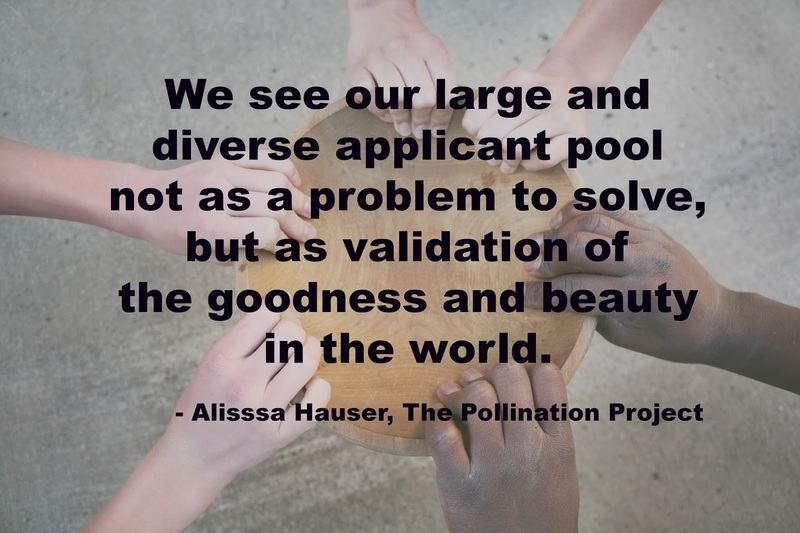 More importantly, what The Pollination Project is attempting to manifest seems to be as much about changing people's perceptions of what each individual can contribute to the world as it is the actual contributions made by the people they fund. The Philanthropy Journal is an online publication of the Institute for Nonprofits at North Carolina State University in Raleigh.